Formerly named Seaside Convention Center Inn offering comfortable guest rooms and suites with complimentary continental breakfast. Our location makes our Inn the obvious choice for beach lovers, families looking for a fun Oregon coast vacation and of course, conventioneers. Cheerful, spacious two bedroom suites, double queen-bedded rooms and hospitality suites are perfect to accommodate families, small groups or couples on a romantic coastal getaway. 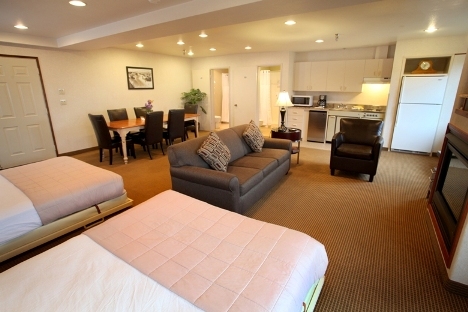 And, with several pet-friendly rooms, you can include the whole clan on your Oregon beach vacation getaway. Many guests make great use of our multi purpose meeting room which can seat up to 45 people and stays busy with retreats, reunions and small meetings. 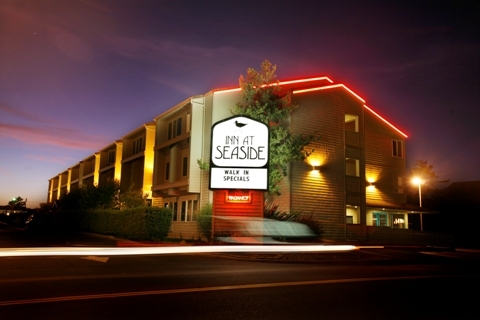 The Inn at Seaside often serves as the Headquarters Hotel for conventions, due to our location directly adjacent to the Seaside Convention Center. We offer SPECIAL RATES FOR GROUPS AND CONVENTIONS- mention group or convention name at booking or call to book your group here for special rates. 75 miles from Portland- Two blocks from the beach, and just one block from broadway St. Right across the Seaside Convention Center.